The day after the Scottish independence referendum in 2014, Glaswegian Yes activist Rebecca Owen decides to run away. After being involved in a car accident she is knocked unconscious and when she wakes, she finds herself inexplicably marooned on an isolated Scottish island, Ethersay. 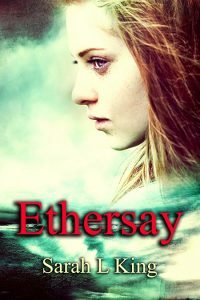 A stirring tale of passion, loss and betrayal, Ethersay is a novel about the search for truth, but also the pain of remembering.